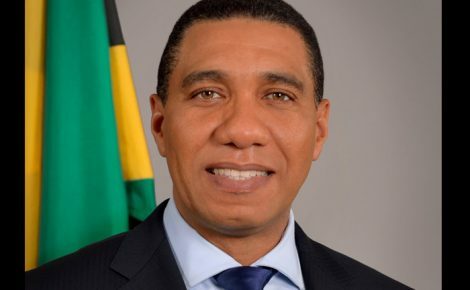 The Ministry of Economic Growth and Job Creation has embarked on a series of regional consultations islandwide under its Youth Environmental Advocacy Programme (YEAP). Chief Technical Director in the Ministry, Lieutenant Colonel Oral Khan, who spoke during the opening ceremony, noted that young people had an important role to play as stewards of the environment. The forums, which kicked off at the Mannings School in Savanna-la-Mar, Westmoreland, on October 21, aim to increase young people’s knowledge, understanding and appreciation of and for the environment. They are also intended to engage the participant’s commitment to and endorsement of the principles of environmental conservation and protection. Hundreds of secondary students across Westmoreland participated in Friday’s launch, which was staged under the theme – ‘Waste Management in Jamaica’. In this regard, Lt. Col. Khan informed that young people would be empowered with sufficient information through YEAP which, he added, would also provide them with opportunities, such as the forums, to share their views with decision makers. “You will then (be able) make the sort of decisions that can turn things around favourably for the environment which you will (in time) inherit,” he stated. Speaking with JIS News, Lt. Col. Khan said the activities staged during Friday’s launch were tailored to garner the participants’ views and feedback. These, he indicated, would be incorporated into the policy formulation process at the Government level. “As part of Government policy, we have to consult with the people who the policies will impact. Consultations are necessary as these will ensure (that) the views of a wider cross-section (of the society are heard). We are anticipating very valuable feedback from these (and other sessions), in which our youths (will be) engaged,” Lt. Col. Khan said.